Some of us find it hard to ask for advice. That’s not me. If I’m conflicted about a business decision, I know who to turn to for guidance. And they won’t hesitate to tell me if I’m headed in the wrong direction. That’s the value of a good mentor. A good mentor is someone you can turn to with questions; someone who can help you grow your skills and your business; someone with knowledge and insight, whether it relates to issues in the same industry as you or for different aspects of your business. You’ll likely have different people to turn to for different needs. What makes a good mentor? “It has everything to do with finding values alignment, or identifying a particular kind of success that is important, or identifying a mentor who seems like a good role model.” That reference is from the Small Business BC website. Unlike professional coaches or advisers, mentors are usually unpaid—their motivation is the reward of giving back. And that’s a good thing, as I would owe many thousands of dollars for the benefit I have received from the two great mentors I have had in my business brokerage career: Ed Pendarvis and Tom West. Ed Pendarvis, who founded Sunbelt Business Brokers and built it into the world’s largest and most successful business brokerage network, has been a generous and kind mentor. He has shared his experience, time and energy to build our industry and to help many hundreds of business brokers to launch their careers. Ed’s humility and care for others along with a keen understanding of the small business mindset enabled him to understand how to help business sellers and buyers achieve their goals and win/win outcomes. I was one of the many students fortunate enough to benefit from Ed’s tutoring. 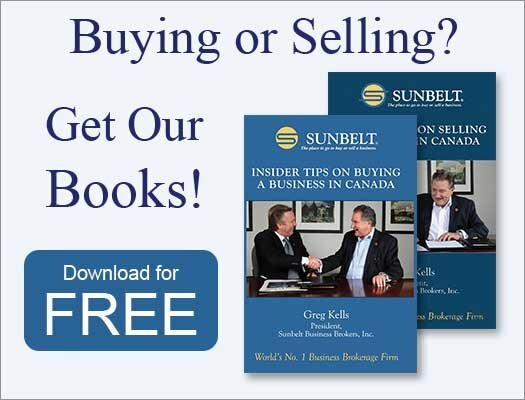 Ed has written two books of note and continues to help business buyers and sellers through BusinessBuyersUniversity.com and through his Sunbelt brokerage in Charleston, S.C.
Tom West is the grandfather of business brokerage in North America. He shares with Ed a very generous spirit, which manifest itself in launching and nurturing the International Business Brokers Association (IBBA), which provides training, mentoring and resources to our industry. As a Fellow of the IBBA, I have benefited greatly. I have also gained from Tom’s personal tutoring and from reading the many helpful publications and training materials issued through his firm, Business Brokerage Press. Who have been your mentors over the course of your career? Use the comments to tell us. And don’t forget you’ll always get sound advice on buying, building or selling a business in our bi-monthly newsletter. Sign up for it here.